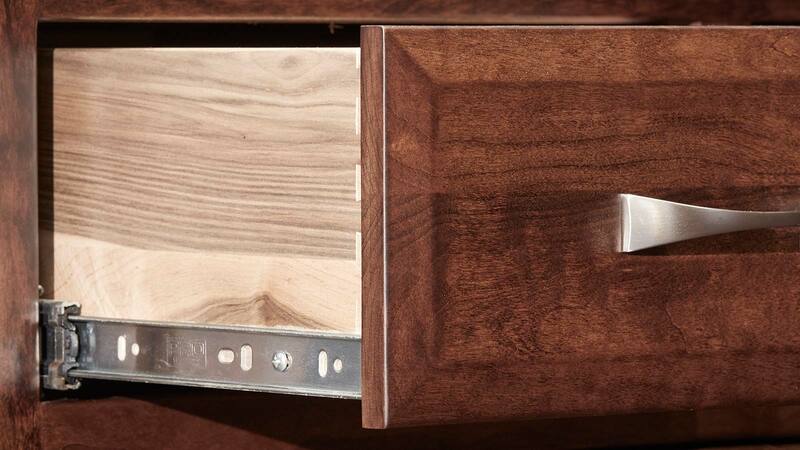 Keep all your wardrobe accessories in one stylish place. 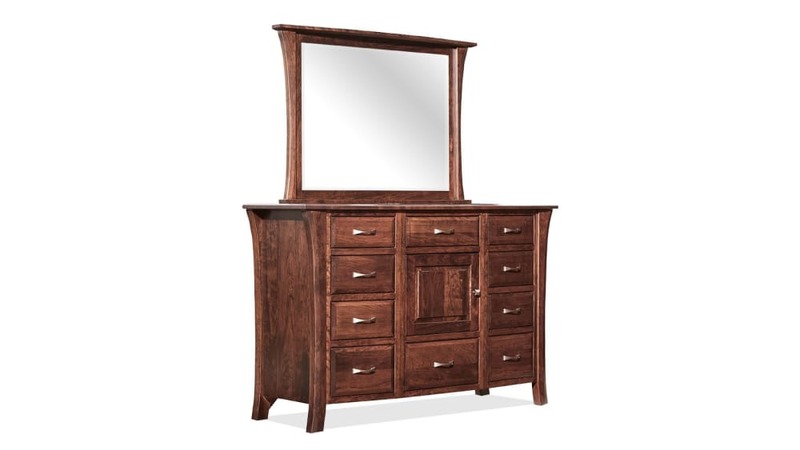 This dresser and mirror will bring beauty to the bedroom, thanks to its classic transitional style, eye-catching hardware and elegant cherry wood. With ten drawers and one large cupboard, you have ample space to store socks, undergarments, ties, scarves and even jewelry! 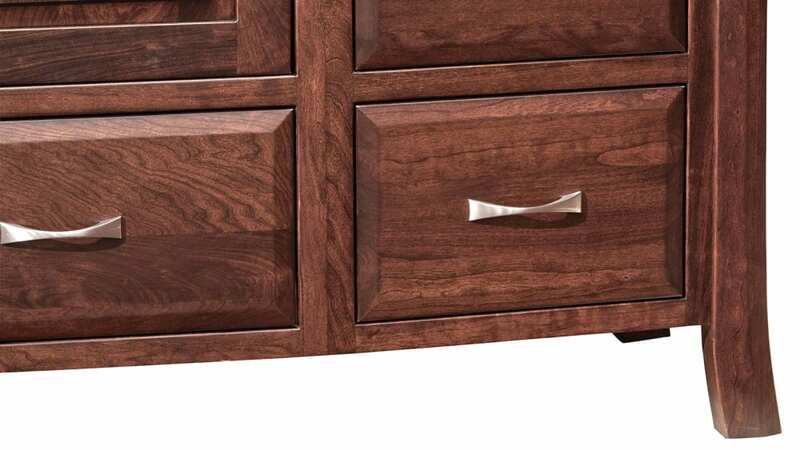 Amish craftsmen built this dresser right here in America. 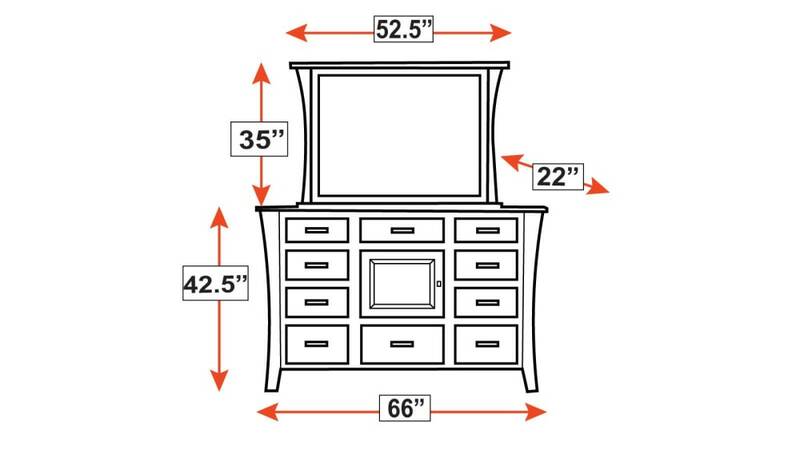 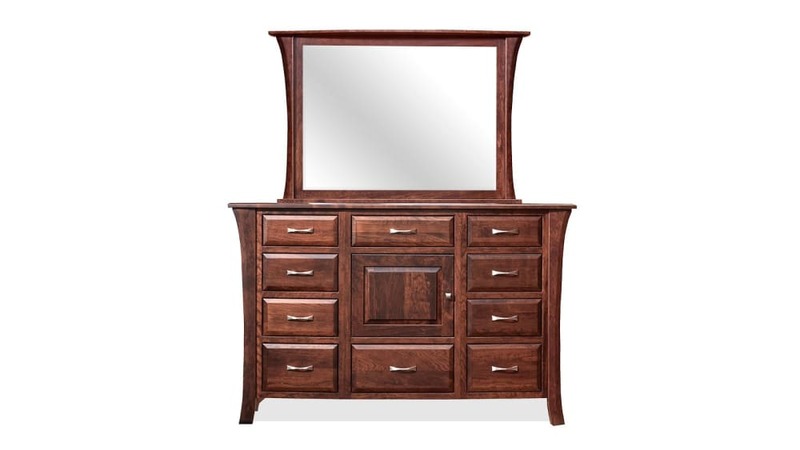 An attached mirror features elegant curves to complete the dresser's transitional style. 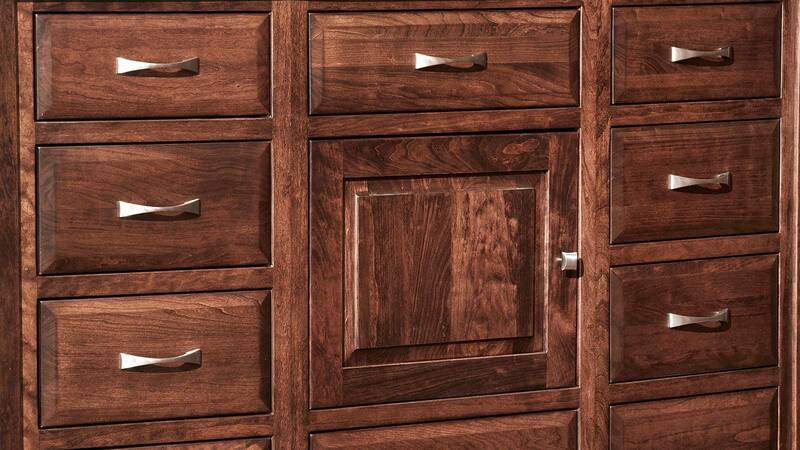 Solid wood construction ensures years of stylish storage. 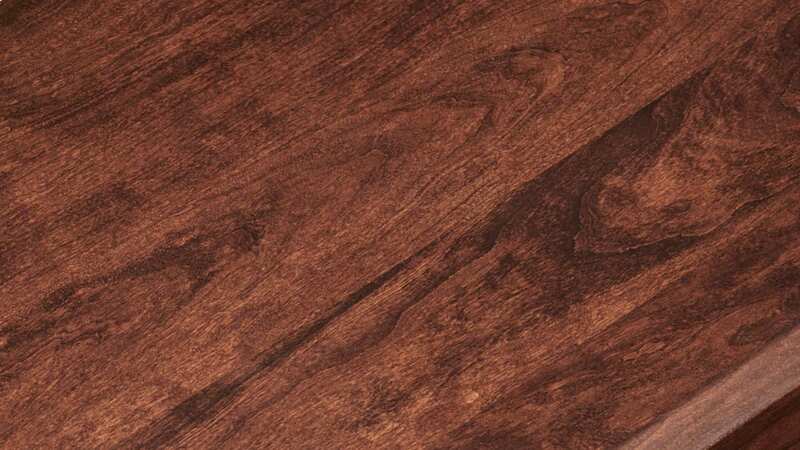 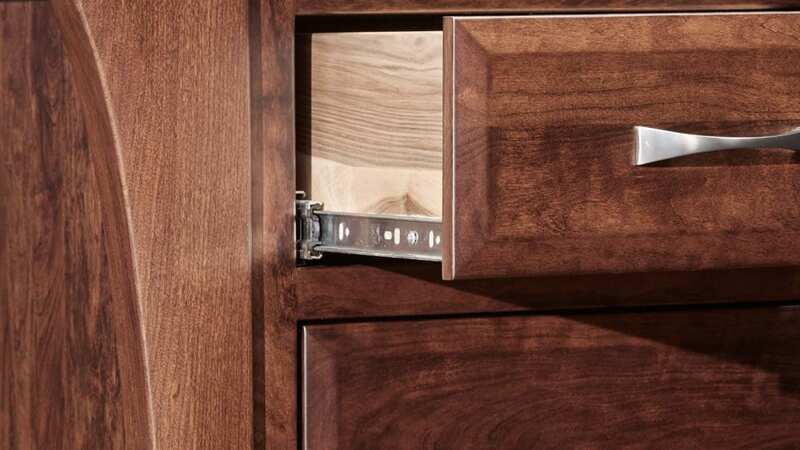 A catalyzed finish protects the cherry wood and adds a lustrous sheen. Ten drawers and a spacious cupboard provide a place for accessories.